SAFA- South Asian Family Association’s AGM on Jan 3rd at 7PM. we’ll be holding our Annual General Meeting in the evening on Thursday Jan 3rd 2019 at 7 PM in Richmond. If you are interested in joining the board or just want to attend, please email us. We are grateful to our sponsors and funders for their support in making this event possible. in particular, we knowledge the support from BC govt (gaming funds) and the city of Surrey’s cultural grant program for making this event possible. SAFA is proud to present our free annual women's empowerment workshop, in partnership with the Langara School of Nursing. This year our theme, as part of global 2017 International Women's Day events, is "Be Bold For Change: Empowering Women in the Working World." Registration will take place in the foyer of Building A; presentations will be in Room A130. The afternoon will consist of individual presentations and an interactive panel of accomplished, professional women who will share their experiences in pursuing and achieving their career objectives. This will be a great occasion to benefit from the advice and guidance of our speakers, whether you are a high school student contemplating your future educational and career goals or a woman seeking to maximize your current working potential. Light refreshments will be provided and there will be opportunities to network with speakers, local community organizations, and fellow attendees. Stay tuned for more details about all our speakers! Farzana Jaffer Jeraj is the author of upcoming release “I Cheat at Meditation” and has published “20 Beautiful Women”. Farzana began her career in coaching and speaking with Anthony Robbins. Her first workshops involved working with youth, not on body image, but rather on value-based identity. She is currently a certified Master Trainer in the field of Applied Neuroplasticity and trains coaches, counsellors and medical professionals in Hypnosis and Hypnotherapy. She has been mentored by some of the best coaches and speakers in the world including Anthony Robbins and Joseph McClendon III. Subsequently, she completed her first degree in Psychology at Simon Fraser University and later pursued further education on the human brain. A true Corporate Mentalist, author Jivi Saran uses insightful business strategy, her highly developed observational skills, and mental perception of thought processes for discerning the truth about an organizational team to gain powerful creativity, focus and productivity. She has an extraordinary mind for improving conditions across an organization and has developed some of the most sophisticated and powerful models of Leadership, Organizational Strategy and Mindset Improvement through her Corporate Soul program. Jivi Saran and her unique set of skills and offerings is changing the game for organizations around the world and is revolutionizing the way organizations create business strategy. Deena Safi is a woman who balances many roles as a life coach, wellness counsellor, clinical hypnotherapist, event planner, professional makeup artist, and community activist. Deena was born in Afghanistan, grew up in India, and obtained her Bachelors Degree in English Literature. After moving to Canada, she started her journey with Semiahmoo House Society in 2011 in Customized Employment Services and later in the Personal Development Services before joining the non-profit Semiahmoo Foundation in March 2016 as their Event Planning Coordinator. Deena brings over 10 years of experience in planning events and charity fundraisers and is passionate about advocating for and empowering others, as well as giving back to the community. She has been serving on the Board of Directors for the local non-profit organization Beacon of Hope for Afghan Children Society that works towards healthcare and education for children in Afghanistan. Having had the incredible opportunity of a multi-cultural upbringing, Deena also speaks five languages and produces her own TV show; she is currently working on a documentary project filmed in Afghanistan called “Burkas 2 Bullets” which will screen in Vancouver on March 3, 2017. A remarkable woman and the first Indo-Canadian broadcaster in Canada. Born and raised in Kenya, Shushma earned a university degree from the University of New Delhi. She began her career in journalism by working as a reporter for the Times of India, but was quickly snapped up by the British Broadcasting Corporation in London as a journalist and broadcaster. Shushma emigrated to Canada in 1972 and settled in Vancouver. She paved the way for ethnic and multicultural programming in the 1970s in Canada, and she became a prominent radio and television host in Vancouver as well as a producer of content for the South Asian community through her company i.t. 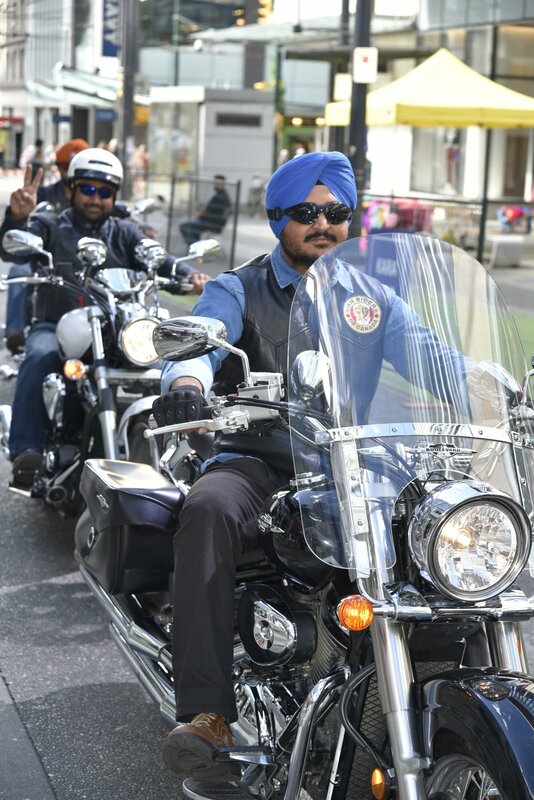 Productions Ltd. After decades of hard work, Shushma received a license from the CRTC in 2005 to establish an AM station in Vancouver called RJ1200. Shushma continues operating her radio stations as well as producing television programs such as "Women in Focus" on OMNI TV, which highlights successful South Asian women who are overcoming barriers. Shushma strives to be an ambassador for the South Asian community as well as empower young women in to consider non-traditional roles. Shushma has received numerous awards such as the Influential Women in Business Award (BC), the Order of British Columbia, the Queen's Golden Jubilee Commemorative Medal, the YWCA's "Women of Distinction" Award, and the Humanitarian Award from the Vancouver Multicultural Society. Teacher, cultural performer. Biography to come. Polly Kainth, B.A, B.S.W. and M.S.W. is an active mother of 3 children and a psychiatric social worker in Fraser Health for the past 20 years. She started clinical work as a Woman and Violence Trauma Worker in 1998, Urgent Response worker on various teams before working in the Clinical Coordinator position at Surrey Mental Health Centre. She subsequently worked in a part time capacity at IConnect Health Centre in New Westminster, working with COPD and Diabetes clients, then seconded into a full time Clinical Program Developer/Consultant position working closely with Directors and Managers in Mental Health on the Integrated Health Network. This is where her greatest learning as a social worker took place. She was responsible for designing a collaborative mental health care pathway, liaising with various GP Divisions across Fraser Health, designing and implementing a large clinical review of all Adult and Assertive Case Management teams within all of the mental health and substance use centres and contributed to the FH Physicians website. After her second maternity leave, she returned full time to the Acquired Brain Injury Program where she enjoyed working in a sub-acute residential facility with clients who experience catastrophic loss of brain functioning and activity. It is at this workplace where her daily interventions with clients having co-morbidities heightened her interest in returning to Surrey Mental Health in a supervisory and clinical role as Clinical Coordinator. Polly takes pride in her case management skills, social work core competencies training, FH leadership competencies, AGL work, Engagement Radicals network, Trauma-Informed Practice and Change Management Training. She lives her life to the fullest as a busy mother of 3 children, wife, daughter/daughter in law caring for aging parents and friend. She loves being the Parent Advisory Committee Chair, past President of South Asian Family Association, still involving herself in various community advisory committees and organizing large community events, dancing, yoga, music and public speaking. Gurjinder K. Bhurji is a woman of many roles - a daughter, wife, mother of four and professional working woman. She emigrated to Canada from India in 1974. She graduated as a registered technologist in medical laboratory science from BCIT. She first worked at St Paul's Hospital and she married her husband, Pargat Singh Bhurji, during her studies. She successfully balanced the birth of her first three children with working at BC Bio labs as well as supporting her husband who was training at BC Children's Hospital. While pregnant with her fourth child, Gurjinder faced serious medical issues and had a near death experience which ultimately resulted in the discontinuation of her work in the lab. Although she continued to raise her four kids and manage her husband's practice, she began channeling her energy into focusing on her own health. She began running marathons and has completed several; for her, running 10-15 km is a form of meditation. Running strengthened her emotionally, physically, and spiritually. She began supporting other women in difficult circumstances and brought women together for walking and running clubs. Now Gurjinder focuses on her passion for real estate as a realtor. She hosts yearly fun networking events for women, as well as classic Bollywood movie nights at the cinema. Gurjinder believes in hard work and passion for whatever goal she chooses. She believes that patience and perseverance are the greatest gifts in life. She wants other women to self reflect and not lose themselves in their duties for their children, extended family, and work. Kamilla Singh is a volunteer, counsellor, TV producer, activist, and tireless campaigner. Since 1998, she has produced the Shaw Cable television program Asian Pulse and DreamZZ Punjabi radio talk show host. SAFA would like to invite all new and old members to attend our Annual General Meeting (AGM) on January 30, 2017, 7:00-8:45 pm, at the Terry Salman branch of the Vancouver Public Library. Come and meet our board of directors and find out what is planned for the coming year. SAFA is pleased to partner with Sunset Community Centre for our annual Diwali celebration. Come join us for an afternoon of sari and turban tying, dance performances, music, diya painting, rangoli, and much more! SAFA is proud to present it's 3rd annual India Live 2016! 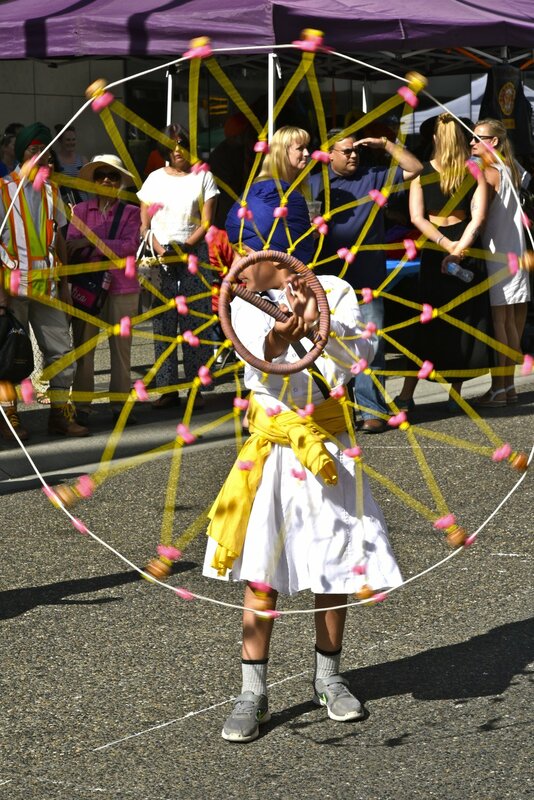 The event will take place in Downtown Vancouver from 12:00pm to 7:00pm on Saturday August 27, 2016 on Granville street between the blocks of West Georgia Street and Smithe Street in the heart of downtown! 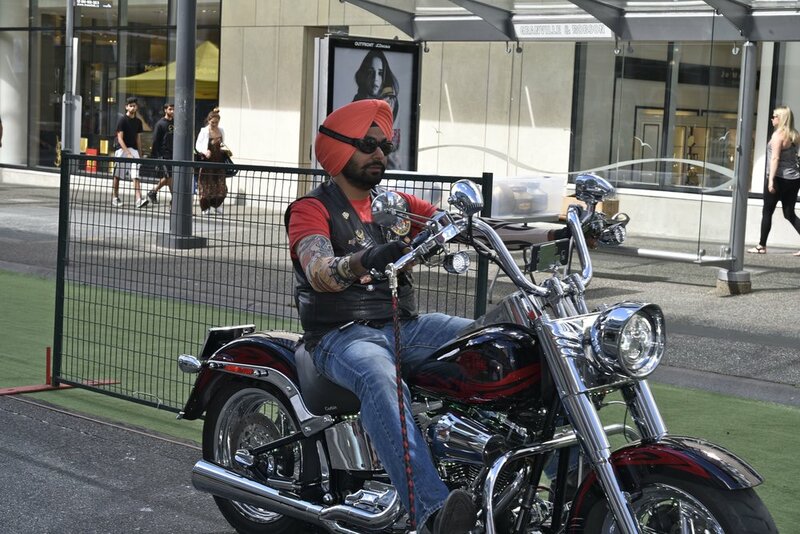 Our headline performer, Malkit Singh, will be on stage at 1:30pm! He will be followed by other great local South Asian dance performers and singers. 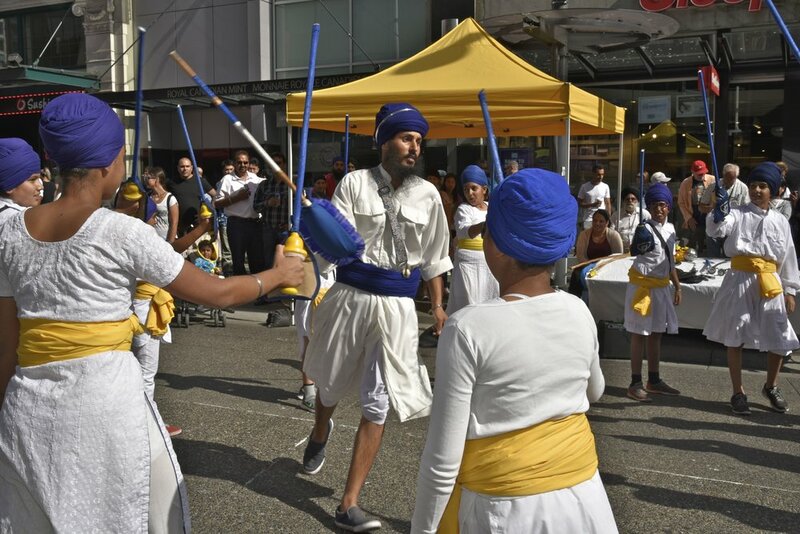 Throughout the street festival there will be activities such Gatka demonstrations, turban tying, yoga, bhangra workshops and more. 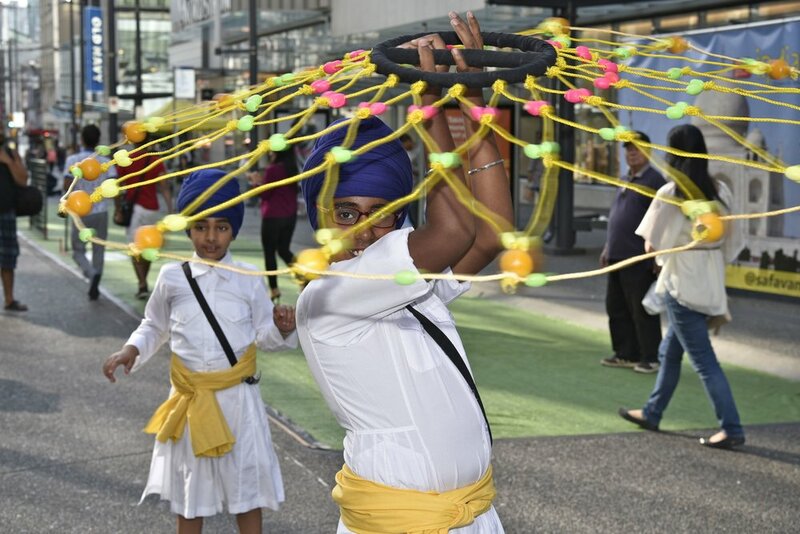 Come join us for this free outdoor event and experience part of the rich culture of India. Limited tickets were available for our fundraising dinner with Malkit Singh! A rare opportunity to have dinner and mingle with the Midas Touch himself! 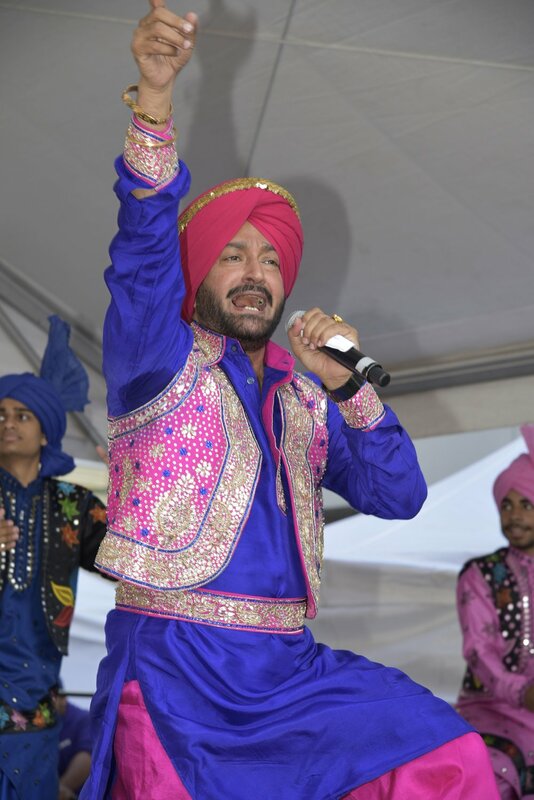 It was an event not to be missed as lucky diners were able to meet and take photographs with the Bhangra King himself, as well as being treated to an intimate live performance. SAFA is pleased to present the classic Dilwale Dulhania Le Jayenge at this year's feature film at Bollywood Under the Stars. Join us and Shah Rukh Khan and Kajol in Unwin Park, Surrey, BC for this free outdoor movie event. Children's activities begin at 4:30pm and the movie rolls at 6:00pm. Bring your family, friends, lawn chairs, blankets, and picnic baskets! Location: Unwin Park, 13313 68 Ave, Surrey, B. C.